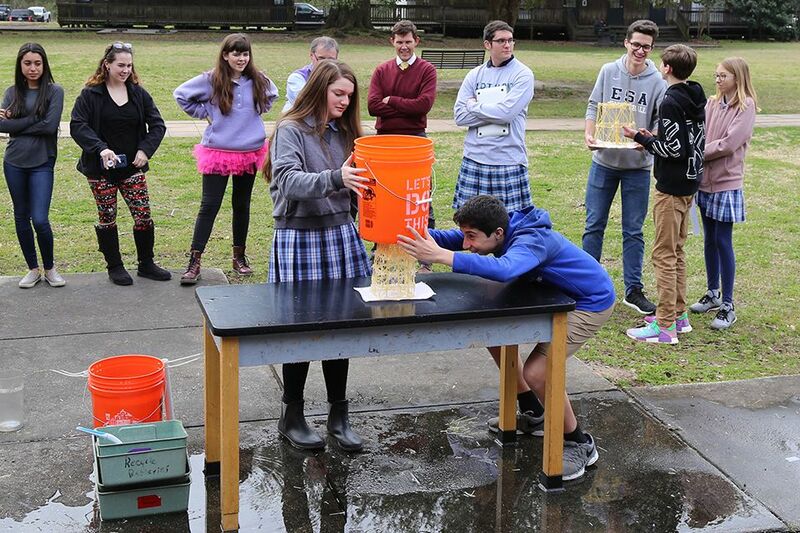 Freshmen in Physical Science were challenged to create towers using spaghetti and hot glue that could support the weight of buckets filled with water. Mr. Gould and Mr. Jones tested the towers Wednesday. View a video of one of the tests on ESA's Facebook page.